Objective: Students will apply the muffin method to make high quality muffins. Demonstrate the muffin method of mixing. Each lab group is to make a different type of muffin using their mini muffin pan. After the students are finished have them take one of each kind of muffin to look at and eventually taste. 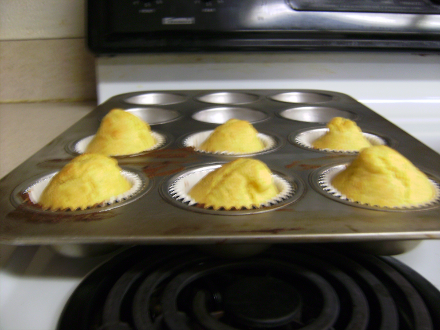 Students should fill out the muffin lab chart while looking at their muffins. Why did some muffins rise more than others? What was your favorite muffin and why?